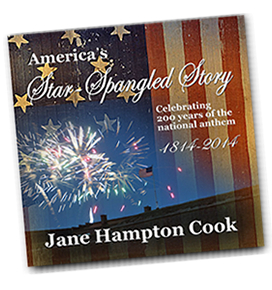 If you’d like to learn more about the story behind our nation’s national anthem, check out Jane Hampton Cook’s book America’s Star-Spangled Banner, Celebrating 200 years of the national anthem. For a limited time, it’s FREE on Kindle. Click the cover for the link.